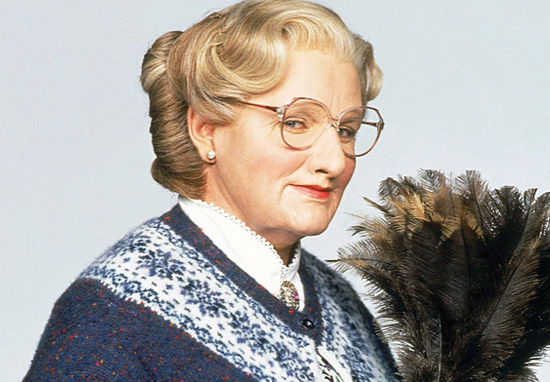 Mrs Doubtfire is the quintessential nostalgia fest for many of us who grew up in the ’90s, watching the same VHS tapes until they wore out. Robin Williams was firing up his distinctive brand of physical comedy with 100 watt energy. Mara Wilson was all round eyes and lispy wisdom. It was funny, but it was emotional too, centred around the aftermath of a very bitter and nasty divorce. For youngsters in the ’90s, the film had just enough silliness and screwball moments to keep us giggling through what was at heart a pretty heavy film, made all the more poignant after Robin’s untimely death. However, if certain scenes had been left in, the film would have felt very different and might not have been so easy to describe as a classic family comedy. Some recently unearthed cut scenes are so painfully raw and heart wrenching, they would have altered the tone of the bittersweet movie entirely. YouTuber Mathew Keys put together and uploaded this lost footage for his channel. The next scene where Daniel (Robin Williams) and Miranda (Sally Field) are screaming at each other in the hall while their children listen in silence upstairs feels uncomfortably real. You can feel the frustrations and resentment between the pair finally erupt, and anyone who has ever been through or witnessed a complicated breakup will feel a pang. But it is the final deleted scene that’s the real toughie. Daniel and Miranda are so caught up in their viscous argument, they don’t notice their children approaching until Lydia yells, ‘I hate you both!’. A few moments later, son Chris (Matthew Lawrence) whispers, ‘me too’, while shaking with tears. I challenge you to watch a defeated Robin Williams slowly exiting the family house, knowing he has caused his children misery, without shedding a tear. Its really tough to make a kid’s film about big issues which won’t be too intense or traumatic. The final cut of Mrs Doubtfire did a pretty good job of this, and it was probably sensible to leave these scenes out. However, these scenes are still certainly worth a watch, and remind us of the emotional power of Robin Williams’ acting.